This post brings me good feelings. I’m already salivating and asking what I’m doing in Sydney. Please, universe, take me back to Tokyo!!! Just to give you a better idea, we had dinner there twice while in Tokyo and I was holding myself to not go there a third time (a lot of willpower was require, but I had to give other places a try). Before you go ahead reading this post, I might tell you that ramen is not gluten free. However, if you are like me – OK with the idea of making exceptions while travelling – this ramen worths every little piece of gluten in it. 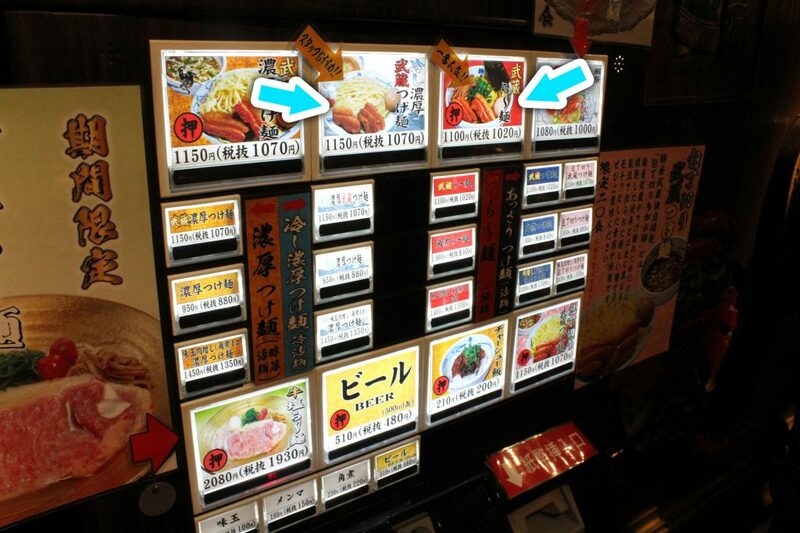 Many restaurants in Japan use a ticket machine for the ordering (see photo below). You add the money, pick your option, get the paper tickets and done. Next you find a place to seat, give it to the waiter, and wait patiently for your yummy food. Menya Musashi – ordering machine. At Menya Musashi you will use this machine. As you can see from the image above, everything was in Japanese and I had no idea what they meant, so my decision was purely made by checking the small pictures. The two dishes marked with an arrow were our choices. Great choices actually! Hubby: Ramen in a broth with tender pork, menma, nori, spring onions and perfectly boiled egg. Mine: Tsukemen (dipping ramen) with tender pork and boiled egg. The idea here is to get the ramen and dip into a bowl full of a thick and bold broth. 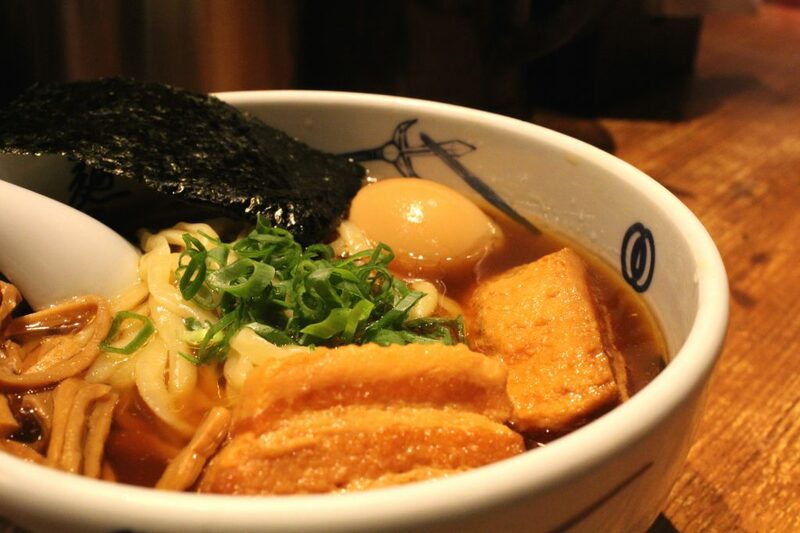 Menya Musashi – Ramen in a broth with tender pork, menma, nori, spring onions and egg. 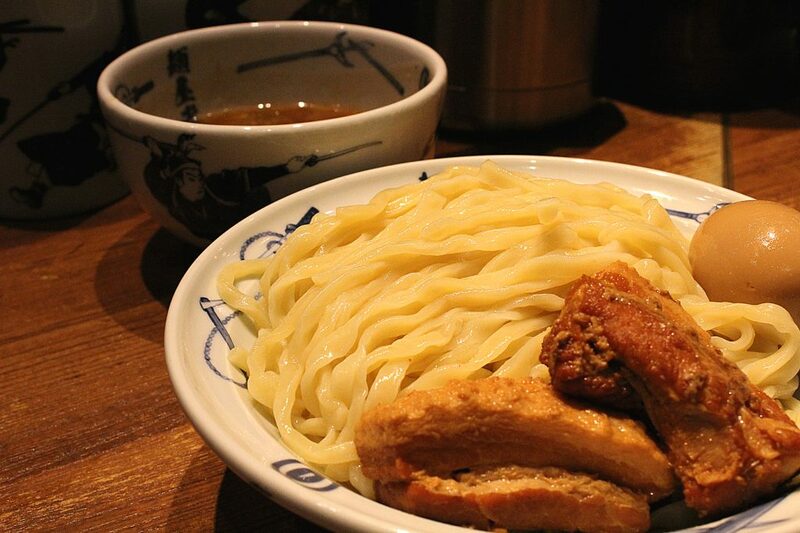 Menya Musashi – Tsukemen: dipping ramen with tender pork and egg. Don’t you dare go to Tokyo and not have their ramen. Seriously, the universe will punish you! This place is absolutely amazing – not only for their food but the restaurant itself is quite exquisite. 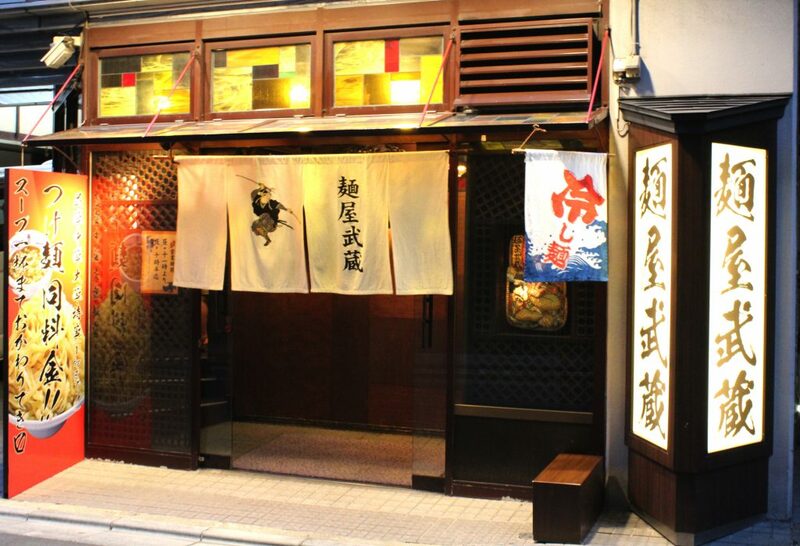 It is a cozy place, very Japanese and the staff is great! They were always shouting in Japanese some sentences according to what they were doing in the kitchen. Of course, I couldn’t understand a word but I liked the restaurant atmosphere. If anyone reading this knows what they are saying, please leave a comment. I’ll appreciate heaps! About the English: This is not a 5-star English friendly restaurant, I must say. There is no English menu available, but as you can see I managed to order and everything was great! The staff could communicate a little bit in English (very limited), so in case you need some help, raise your hand and give them a try. Total bill (two people): $2,350 Yen (A$ 30) – no drinks. Very cheap restaurant for the amazing food!